In recent years, Haiti has experienced a boom in private nursing education. 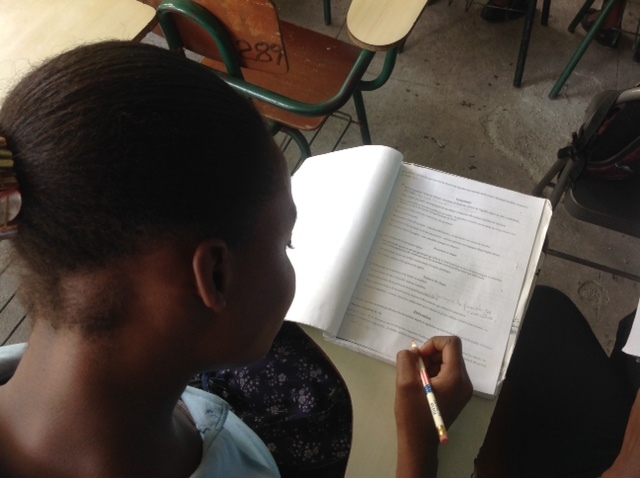 While the country has a long history of educating well-qualified nurses, little is known about the quality of education now being offered at the more than 400 private nursing training institutions in Haiti. In addition, little is known about the technical skills of their graduates and the public may be at risk for receiving questionable care. The lack of information also makes it difficult for prospective nursing students to choose among the hundreds of private education institutions. To address this concern, Haiti’s Ministry of Health is working with the HFG Project to bolster its process for accrediting nursing education institutions. The accreditation process, called reconnaissance in French, will be carried out by the country’s Department of Training and Development for Health Sciences or DFPSS. A new brief describes the progress made in developing the reconnaissance process. DFPSS leadership worked with the HFG Project and the Canadian Association of Schools of Nursing (CASN), Canada’s official accrediting agency for university nursing programs, to evaluate Haiti’s current accreditation process. Following that step, delegates from the DFPSS and Haiti’s Nursing Directorate traveled to Canada to learn about CASN’s accreditation process and specific methods and processes that could be applied in Haiti. After the study tour, participants returned to Haiti and worked with the HFG Project and CASN to develop a new set of seven standards against which nursing educational institution will be evaluated. Standards are the backbone for the reconnaissance process: they define the minimum level of quality that must be met in relation to safety, ethics and nursing competencies. Currently, the DFPSS is implementing accreditation in nursing institutions throughout the country. The new logo will be delivered to qualified nursing schools when the first round of evaluations is complete.